When scouting for the best land to buy in Florida, make sure it is secluded and away from the city, but not too far. Typically, a distance of less than 3 hours away is a good idea because it’s close enough that you can hunt and return home on the same day. Especially if there is no cabin on the property. Another thing to consider is looking for hotels that may be relatively close by in the event you have to stay longer to track down a wounded animal. Find current hunting properties in your area in our property search pages. A key factor in choosing the best hunting land is access to it. Is the property accessible from a public road or is there an easement? Easements can provide more privacy and security but will potentially turn off potential buyers. However, many find the added security and privacy a plus because it will deter trespassers and road poachers. To attract deer, it is crucial to have plenty of food and water. While both can be brought onto the property, it is cheaper to find good trees and water already on the property. Perennial-style wood plants are a favorite of the white-tailed deer as well as bushy scrubs and trees that hang low. These are the main contributors to their diet. Fruits and nuts are another form of food to look for when purchasing hunting land. Water is one of the top priorities for hunting land and will support abundant deer. While you can have ponds put in, there will be time factor and costs to assess when making that decision. It’s much better if the property already has a good natural supply of water. Make sure the property has a good source of cover to provide shade for deer during the daytime. Tall grass, swamp areas, thick brush, and pine trees attract deer. To create cover, hinge-cut small trees. 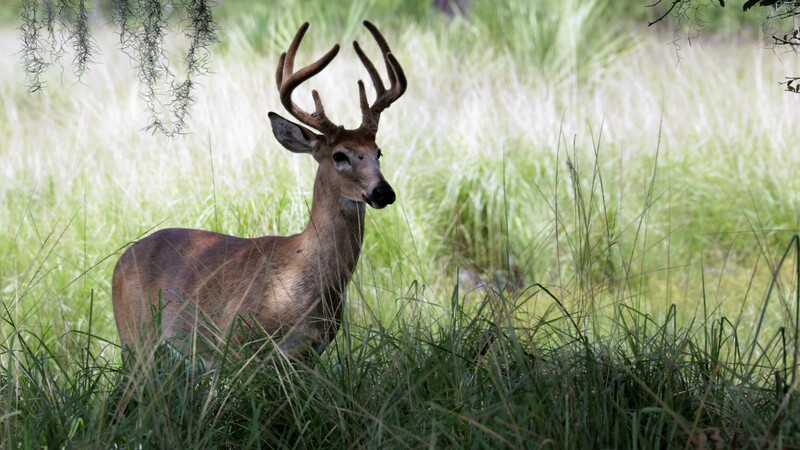 Deer are attracted to groupings of pine trees and also like to lay in tall grass as well as swamp areas to stay cool. Look for signs of deer activity on the property. Check for buck scrapes, trails and droppings. But keep in mind that the deer traffic may only occur during the night. They may feed on a neighboring property during the day, pass through at night, and lie in different property the next day. If possible, set up trail cameras on the property before buying to give you an idea of what kind of deer activity there is on the property. Take a look at the neighboring property and see what kind of hunters the neighbors are. Are they rifle or bow hunters? What kind of hunting habits do they have and are they driving deer? Check for public land that may be near the property and do not be afraid to introduce yourself and ask people questions about wildlife in the area. Buying hunting land can be a great investment if you know what you are looking for and research properly. Finding the right hunting land can be very rewarding and provide a place to create lasting memories with friends and family this hunting season.